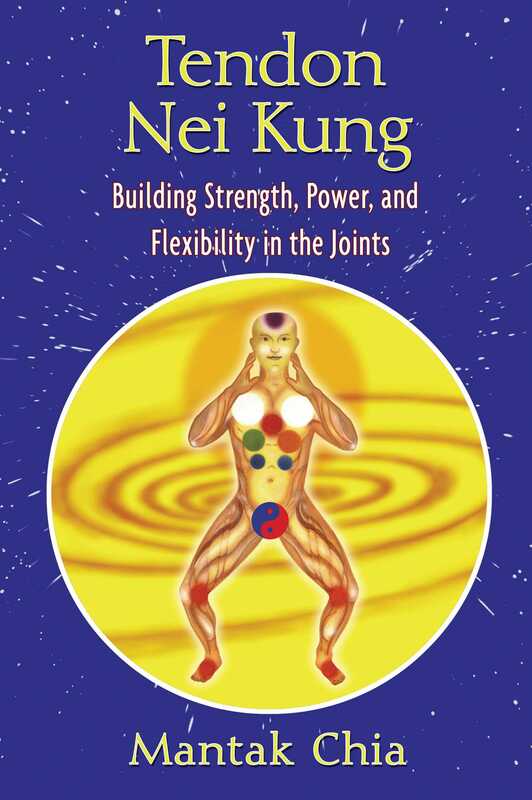 Once the basic structure of the Tendon Nei Kung forms has been successfully developed in the Iron Shirt Chi Kung posture and you are confident with the movements and various details, you are ready to advance your practice by making use of the eight hand and arm positions. By practicing the eight positions you strengthen and grow all of the various tendons in the body. Consistently practicing in this way will greatly strengthen your tendons as a unit, instead of having one line of tendons being more developed than another, leaving the others to become weak. 1. The hands are relaxed, held at nose level with the palms facing inward in similar fashion to the Iron Shirt position. 2. Following the movements described in basic structure, bring the earth’s force up through your body. 4. As your heart expands, move your arms forward and torque the tendons in your hands. Very gently open and stretch the hand, emphasizing the tensing of the tendons in your middle fingers. 5. Expand your eyes and use your visual focus and mental awareness to direct and sense the earth’s force pulse into your finger tendons. The efficiency of the tendon changing exercises can be tested and increased by doing the forms with a partner. In this training the weight of the partner is used to engage the tendons of the practitioner. The practitioner then uses a quick stretch of the tendons to bounce the partner’s energy back. This exercise should be performed in a gentle repetitive manner without reverting to brute force to bounce the partner. Make sure you have mastered the basic principles and have a relatively deep practice of the individual forms before moving on to the partner exercises. If you have not cultivated a good idea of what the internal force feels like, prematurely moving on to the partner forms will invariably cause you to use muscle force to attempt to bounce your partner back resulting in a useless exercise. The principles of movement for the practitioner remain exactly the same as in the solo forms. The same eight positions that are used in the solo forms are also used for those when training with a partner. Have your partner standing up straight with feet together, about a meter away and facing you. From this position let him put his hands on your wrists and then lean into you. In return lean forward ever so slightly, no more than a degree or two, to meet his oncoming momentum. This appears to be a slight leaning but in reality you are shifting your body into alignment with your partner’s force and the earth so that you can root his force as well as channel earth force. Once you get a feeling for this you can internalize the movement until there is no apparent external shifting or leaning forward. At this stage it is important to make sure that you are not using force to resist your partner’s momentum. When we say don’t use force, we don’t mean that you must be totally weak. If so you will be pushed by a sudden breeze. What is important is to resist relying on muscle power to receive you partner’s force, without being knocked over. The way to do this is by absorbing and storing his force in all of your tendons from your arms, shoulders, down the back through the Achilles tendons, and into the toes, rooting out any excess force through your heels. To do this it is necessary to lock and engage the structure, especially the arms with the joints and tendons. Once you are storing his energy, use the Tendon Nei Kung form movement and your awareness (mind, eye, heart) to return the force and bounce your partner. As you bounce him, lift and expand the toes to further torque the tendons of the body. 1. Assume the first position, bringing your hands to nose level with the palms facing inward, and let your partner lean on your wrists. 2. As your partner leans in, very slightly lean forward to meet and absorb his momentum. 3. Absorb and store his energy in your tendons, while rooting excess energy out of your heels. 4. Using the Tendon Nei Kung principles and movements, torque your tendons from the ankles up, bouncing your partner. Remember to emphasize the stretching of the tendons in the middle fingers.